But…. No matter how beautiful our hair is, the pollution, weather and our adverse health conditions always take a toll on it, making it rough, dry and frizzy! DESCRIPTION: All hair types; new micro oils. Do you feel your hair is depleted of its nourishment and doesn’t look healthy? Discover our ultimate nourishing solution for healthy looking beautiful hair. INNOVATION: 6 OIL FORMULA FOR 6 BENEFITS! The L’ oreal laboratories have infused 6 NUTRITIVE OILS in a conditioner that makes hair and scalp feel nourished and gives 6 sensational benefits. 6 OILS: ARGAN, OLIVE, ALMOND, COCONUT, JOJOBA, CAMELINA. 6 BENEFITS: STRONG, SOFT, SMOOTH, THICK, SHINY, MANAGEABLE. RESULT: So nourishing, it makes hair look healthy and beautiful with a spectacular shine with every wash. DIRECTIONS: After shampoo, apply on scalp, work through length and tips of hair and rinse. COST: INR 170 for 175ml. What I like the most about this conditioner is that it not only targets the dry tresses but also the scalp, unlike most of the other conditioners (which advice “not to be” applied on the scalp) available in the market! I had gone for 3-4 days without washing my hair after using this conditioner and my hair was manageable even by the end of the 3rd day after which the frizz started to reappear and the hair seemed to lack nourishment again! 1. Inexpensive, easily available and travel friendly. Buy it from here! 2. Has the benefits of 6 oils in it. 3. Applicable on hair as well as scalp. 4. Doesn’t exaggerate dandruff or hairfall problem. 5. Makes rough, dry and frizzy hair absolutely tamed, silky, nourished, shiny and manageable. 6. The effect stays until next wash.
1. Might make oily scalp and hair even more oily! Yes!! It does make my oily hair more oily. I have tried the shampoo from the same range. Would try out the conditioner too. Thanks for the review. 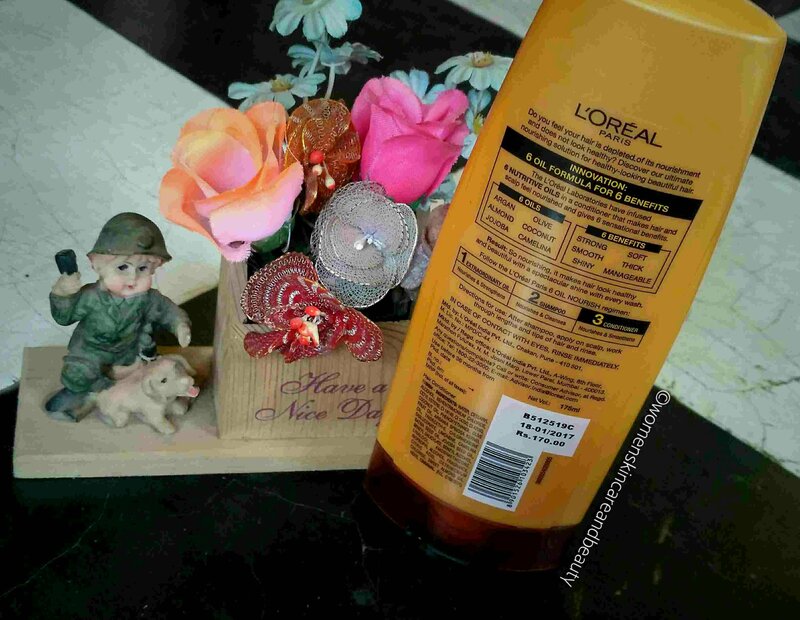 I have fruzzy hair too.Wil try this one .Thanks for the review. 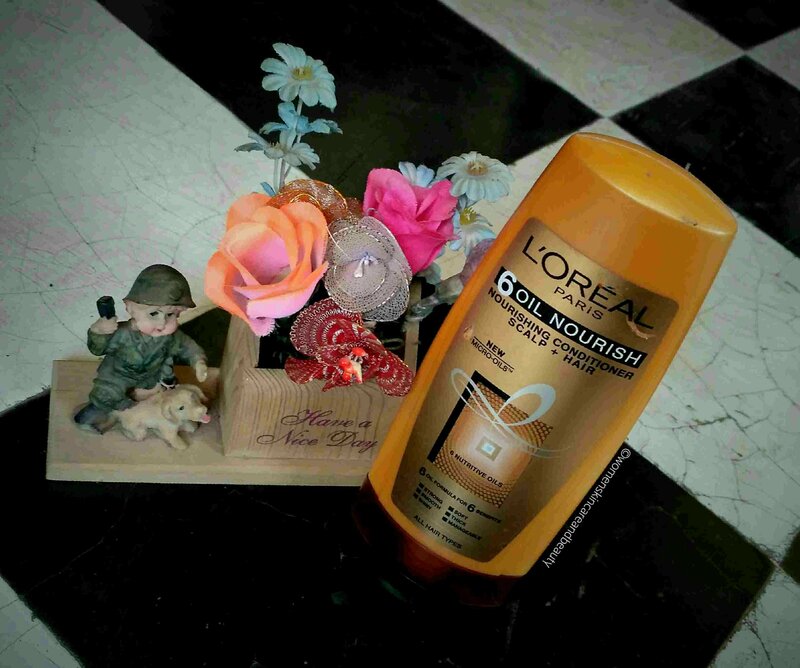 Loreal have some amazing range of products. Thanks for sharing the detailed review. Your review is so appealing dear.. I am going to get it for sure.. I am searching for a good and effective conditioner for my frizzy hair. I think my search ends here. This product seems very promising and effective as it consist of 6 wonderful essential oils. Really want to try it.thanks for sharing your reviews. I have for long using this conditioner now and it has always worked magically for me. I moved to L’oreal from Tresemme and it has been a wonderful switch. I’m yet to try it. If it works for dry and frizzy hair then it will certainly be good for me. I have used this Conditioner and it really works, but then my hair started falling so i didn’t use it after that. 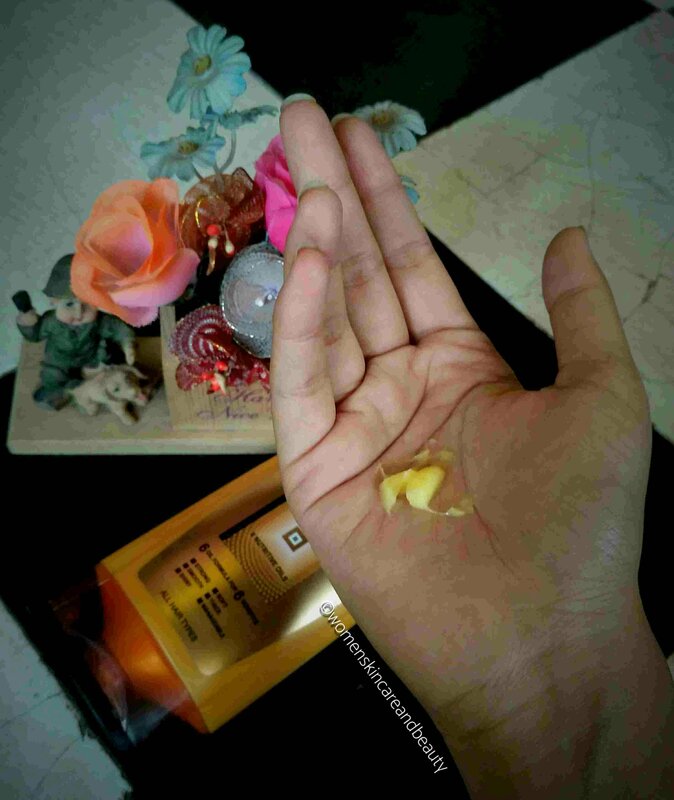 Conditioners can easily make ur life simple and tangle free. I haven’t tried this new range. Will definitely give this a try. Does this work on frizzy thin hairs? Yes i have thin fizzy hair.. it really works! I love this shampoo very nourishing and effective. This one is a great product.. do try it out you would like it for sure.. This looks like a promising product. I like it’s outer packaging. I think this will work for my rough and dry hair. Do try it out.. i am sure it would work!